How to Make a Radio Station App in 3 Easy Steps? How Appy Pie Radio or Music app works? What are the Benefits of Making a Radio or Music App with DIY App Maker Appy Pie? How to manage the app content on App Builder Appy Pie? Personalize it for better user engagement. Add features like event, photo gallery, etc. Create your own Radio Station App without coding. Promote your music and present it to a wider audience. Appy Pie’s ‘Audio’ feature allows you to create your own radio and music app for Android and iOS from SoundCloud, Hearthis, Media RSS, Shoutcast, Icecast, etc. One of our most popular features, ‘About Us’ gives an opportunity to the app owners to introduce themselves and the kind of music they make. The ‘Photo’ feature allows photo integration from Picasa, Flickr, Instagram and other social networks, making it easy for you to share amazing photos with your users in just a few clicks. Another great feature from Appy Pie’s app maker, ‘Social Network’ gives you the power to create your own social network, making it easy for you to share latest updates about your radio station or music channel while allowing your users to post updates, comments, and like posts. ‘Contact’ is an amazing feature where you can share all your contact information, such as email, phone, website, etc. which users would need to get in touch with you or your support team quickly. ‘Push notifications’ is one of the greatest ways to stay connected to your users and to keep them updated about your latest shows, music streams, etc. With ‘App Analytics’, you can easily gather accurate data about in-app user behavior, which can then be leveraged to serve the users in best possible way. Whether you are an RJ, a DJ in a club or a Musician trying to promote your music and present it to a wider audience, Appy Pie’s App Builder allows you to create Radio or Music Apps for Android and iOS in mere minutes. You need absolutely no coding skills to build radio and music apps with our next generation radio app creator software. 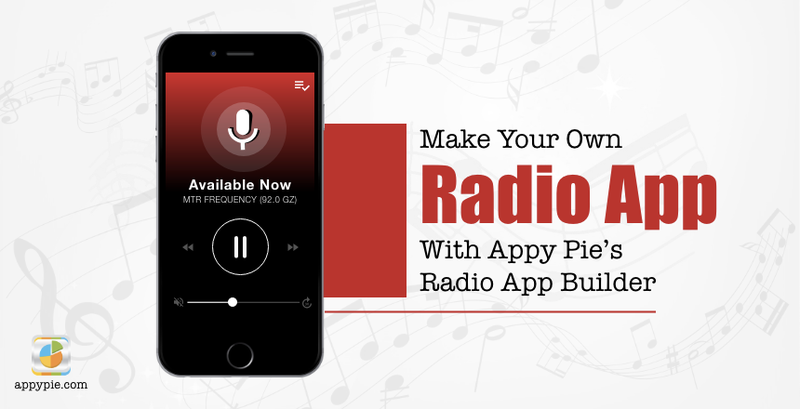 Create a radio or music app without any coding using Appy Pie’s app builder in minutes. Engage your audience using push notifications so that they keep coming back for more. 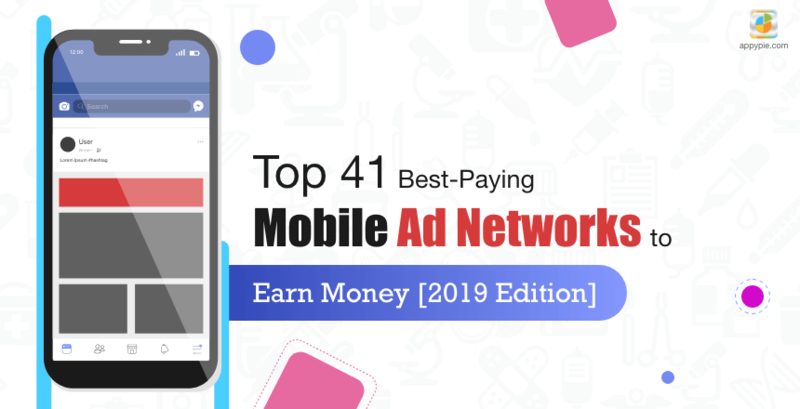 Enable Google AdMob or Appy Jump to earn money from your app. 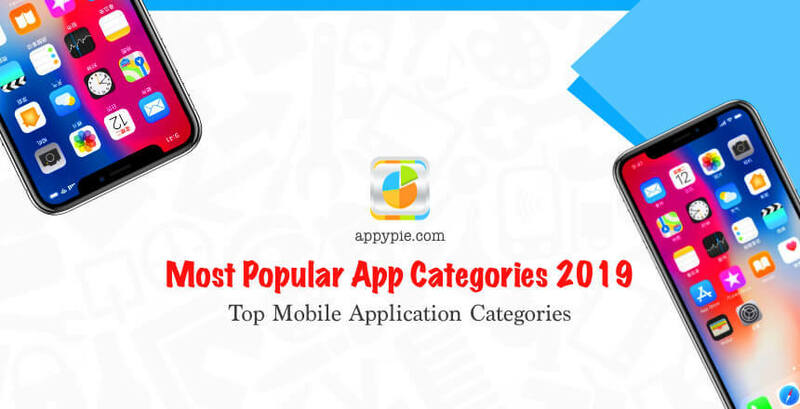 Increase your app’s ranking on app stores and gain more customers from across the world by promoting your app using Appy Pie’s app promotion plans. How to manage app content on App Builder Appy Pie? Enhance the appearance of your app with enticing splash screens and app backgrounds. Monetize your radio and music app with Google AdMob and Appy Jump ads. A great way to improve user experience by keeping track of user behavior. Facing problem with your app? Explore our help center or chat with us for immediate assistance. Create and manage multiple apps under one user account, without any hassles. Have new ideas? Connect and share with us and help us improve our platform. Professionally known as Deadmau5, Joel Thomas Zimmerman is a Canadian electronic music producer, DJ, and musician, producing different styles within the progressive house genre and sometimes other forms of electronic music. Anton Zaslavski is a Russian-German record producer, DJ, multi-instrumentalist and songwriter. Popularly known as Zedd, Zaslavski not just produces and performs electro house music, but has also diversified his genre and musical style, gaining inspiration from progressive house, dubstep, and classical music. Thomas Wesley Pentz Jr., better known as Diplo, is a dynamic personality in the music industry today. An American DJ, Thomas has founded a record company, Mad Decent, and is also the co-creator and lead member of the electronic dancehall music project Major Lazer. Ryan Gary Raddon, popular by his stage name Kaskade, is a groundbreaking innovator in the music industry. Born in Chicago, Kaskade is a multi-GRAMMY® Award-nominated singer, DJ, songwriter, producer and remixer. An American electronic musician, producer, and DJ, Dillon Hart Francis is known for popularizing the moombahton genre. Born in Los Angeles, California, Francis is also a comedian, and is known for creating hilarious characters, such as he DJ with a German accent DJ Hanzel. Better known by his stage name Laidback Luke, Lucas Cornelis van Scheppingen was born in Manila, Philippines. A Dutch DJ, remixer and music producer, Luke is also a martial artist and regularly practices kung fu, especially Choy Li Fut. From Chapel Hill, North Carolina, Porter Weston Robinson is an American DJ, Grammy nominated record producer, singer and musician. So far, he has produced and released quite a few number one singles across different electronic genres. A Canadian DJ, turntablist, record producer, and music label executive, Alain Macklovitch is popular in the world over by his stage name A-Trak. Born in Montréal, Quebec, A-Trak has also written numerous articles for The Huffington Post and owns the travel website Infinite Legroom. Professionally known as Borgore, Yosef Asaf Borger is an Israeli EDM producer, DJ, singer-songwriter and rapper. Founder of the label Buygore Records, Borgore was formerly the drummer of Israeli deathcore band Shabira. Globally popular by his stage name Wolfgang Gartner, Joseph Thomas Youngman was born in San Luis Obispo, California. An American DJ and music producer, Gartner has performed at a number of music festivals such as Neon Desert Music Festival 2013, CounterPoint 2014, etc. What are the best mobile apps to stream radio? How much does it cost to start a radio station app? Building a mobile app using Appy Pie radio and music app maker is free, but is you want to publish your app on app stores, then our plans start from as low as $15! How to Make a Music Streaming App Like Spotify? How do I get a radio station on my phone? You need to create an app for your radio station to bring it on your phone. You can use Appy Pie to build a radio station app without any coding skills, or hire our custom app development team to get it created from the scratch. How can I make a radio app for Android & iPhone?